There are many reasons to love boating. No two outings are ever the same. Boating provides a wonderful combination of nature, wide-open skies, getting away from traffic and congestion, and the freedom of cruising along the waterways, no curbs, lined lanes, or traffic lights. And therein lies the potential for trouble. All too often, because of the wide-open spaces, freedom and comfort of being out on the water, we become too relaxed about operating a powerboat. Unless you had a death wish, you would never think of allowing a 12-year-old to drive your car down I-95. But do you have the same concerns about letting a 12-year-old take a turn at the helm? In the same way, even adults have become too relaxed and comfortable in navigating waterways, with conditions that can change rapidly and unseen objects and obstructions just below the waterline. I was recently out with some friends on a boat behind my house on the Arlington River. There were some young kids tubing in front of us. As the driver turned the corner at high speed, whipping the tube around, I saw potential disaster unfolding. The boy on the tube was flipped off and slammed into the shore. It was a scary moment. He was dangerously close to some concrete pillars. Thankfully, he escaped with bumps and bruises. But the episode was completely avoidable if the driver had simple been more careful. I think one of the issues with tubing is that it’s pretty simple. There’s no real learning curve. People just climb on the tube and the person at the helm thinks it is fun time. Let’s give them a thrill! But there is a fine line between excitement and danger. It is a line not worth crossing. There are too many sad endings to justify the risks. 1). Make sure that your ropes are in good shape with no fraying or worn areas. If the rope breaks there will be no control. 2). Make sure that the tube is inflated to its proper size. If it’s under-inflated over-inflated it can be a problem. Under-inflated tubes tend to drag in the water and not carry the people on it the correct way. 3). All riders, regardless of age, need to have a life jacket on that fits properly. Make sure they are properly sized. As captain, you must insist everyone wears one. No life jacket, no ride. 4). A long-sleeve shirt a good rash guard, especially for younger riders. for the riders. You don’t want to put a five-year-old kid on a tube that’s way too big for them. e pilings and markers. Steer clear! The captain has to be aware of how much that a tube rider is going to be projected out from the back of the boat. 7). The boat driver needs to maintain 360-degree awareness of his or her surroundings. The driver has to have a really good sense about what’s going on around them and what might happen in the coming moments as they begin to turn the boat. They also have to make sure that a boat or jet ski doesn’t dart out in front of them. 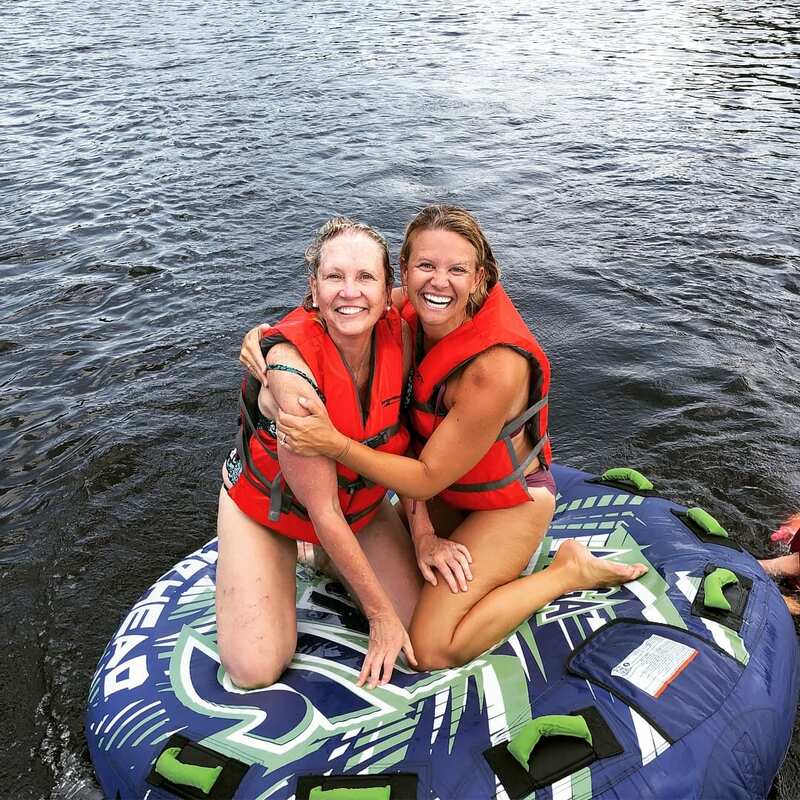 Tubing is a great activity for people of various ages. But fun tubing is safe tubing. Trying to give a rider a little extra thrill is simply not worth the risk. As new boaters, I would love to h as very a training on how to drive boat with tubing passengers…rather than just winging it. Is this something that could be done?